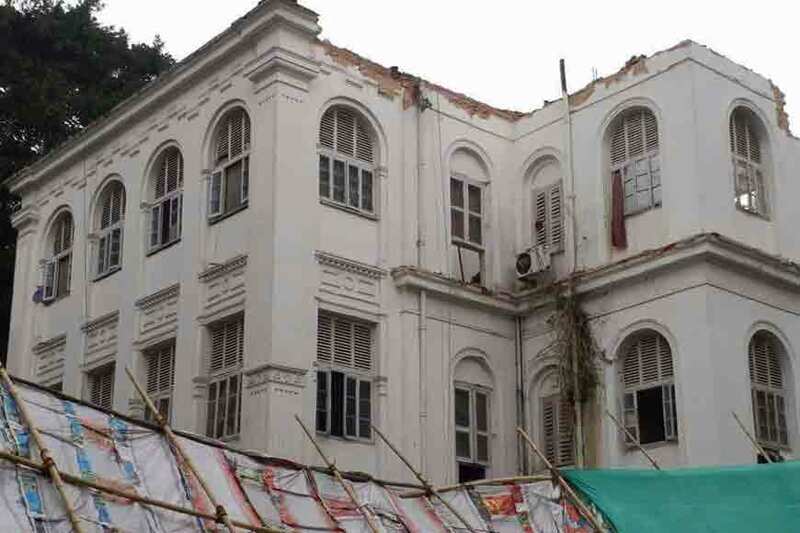 On 4 B Bondel Road, next to Ballygunge Phari Park stands a grand mansion ‘Bhalobasha’ that looks grander because of its long and high walls depicting mythological tales through colourful Patachitra. Yes, you got it right, Patachitra on walls of a house! 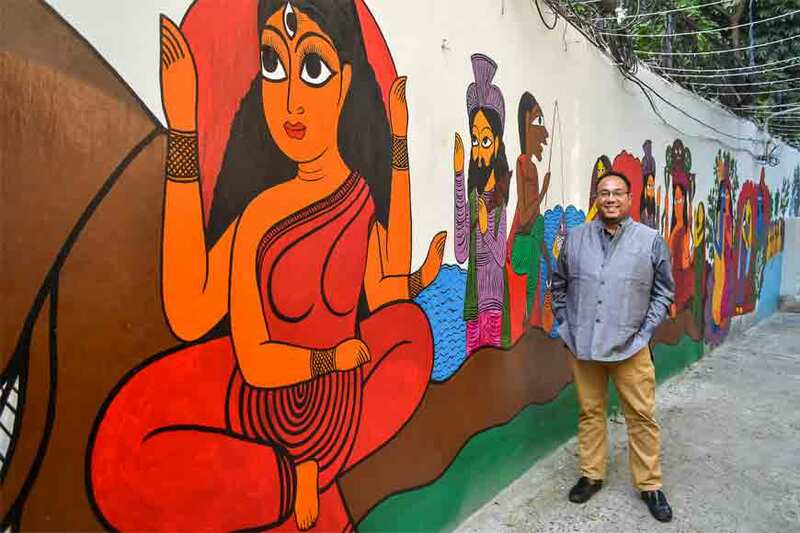 World-renowned photographer Kounteya Sinha brought in Manimala and her family from Naya village of Bengal to unfurl the dynamic colours of a Patachitra on the very walls of his house. 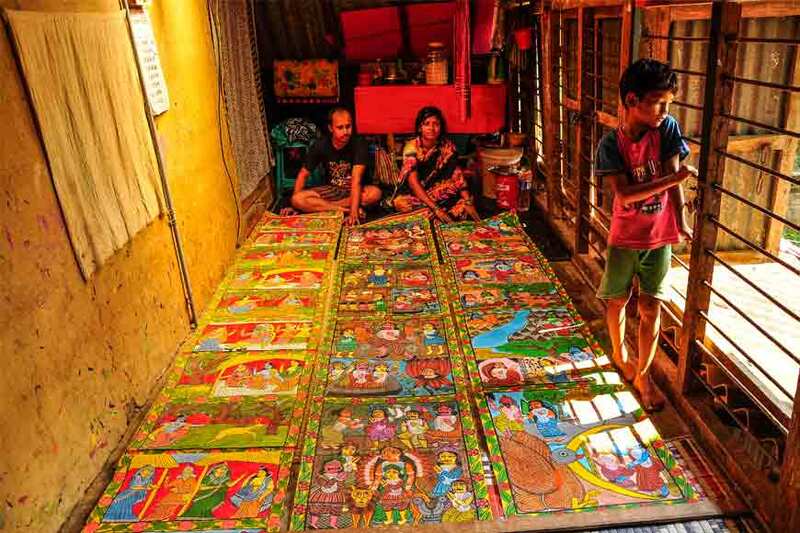 The result was one of the longest Patachitras ever painted in Kolkata. Sinha feels Patachitra isn’t really a dying art. It is seeing a strong revival. But citizens need to do more to endorse and promote it. He gives an exclusive interview to GetBengal on how he did that! • What made you think of doing a Patachitra mural on the wall of your house? It frankly happened by chance. 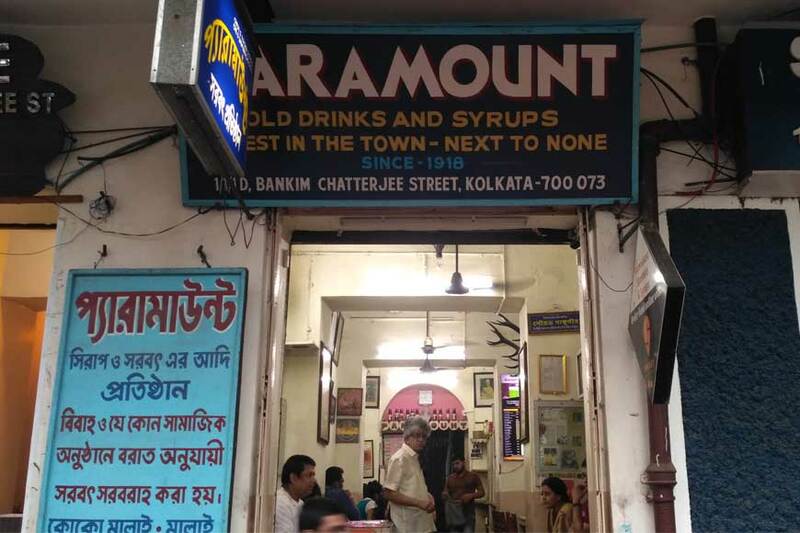 I usually wake up very early every day and set out discovering Kolkata or Bengal, almost aimlessly. There aren’t any plans, no maps, nor any preconceived notion or pre planned stops. One morning, I decided to go to a village to photograph water lilies. 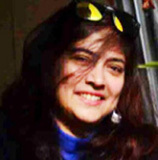 I drove there with my friends – a place known for those beautiful flowers – two hours from Kolkata. However, our plans were dashed when we reached. All we found were empty ponds. 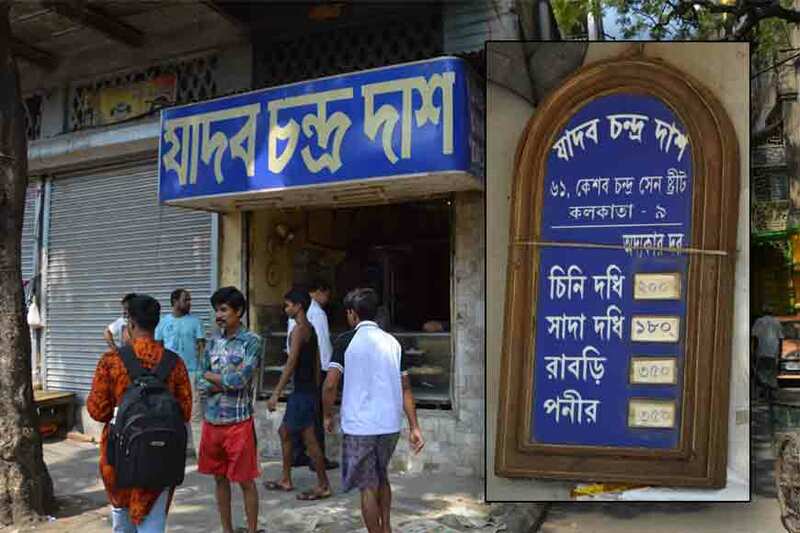 Disappointed, we stood by a rail track and made another impromptu plan – this time to visit Naya – a village in Midnapur famous for being the home for artists making pata chitras. It was three hours from there, but we weren’t going to go back home empty handed and hence we set out. When we reached and I got off, it was a few metres before the village began. A house painted with bright green organic colours caught my attention. What I found interesting was how this house was built outside the village. I walked towards it when a few children from this house came running to me and got on my back and shoulder – it was as if they knew me since long. 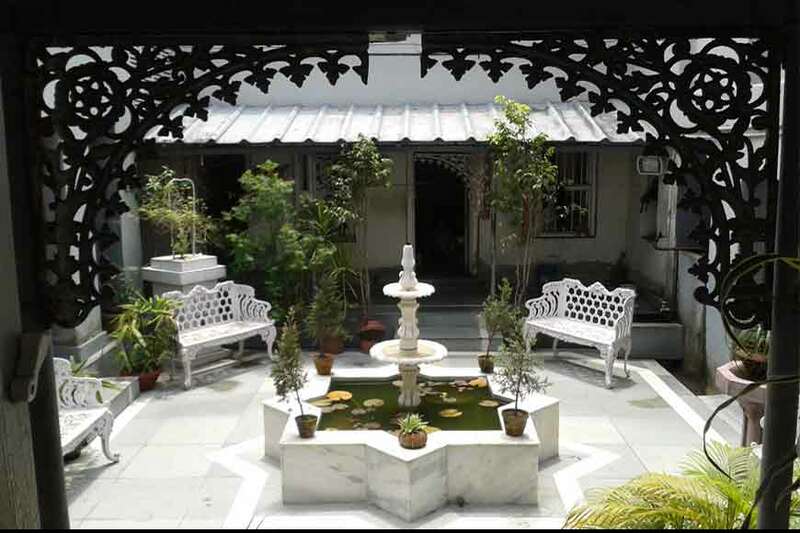 I walked into the courtyard of pomelo and mango trees – women were on the ground painting on hand fans and on post cards. 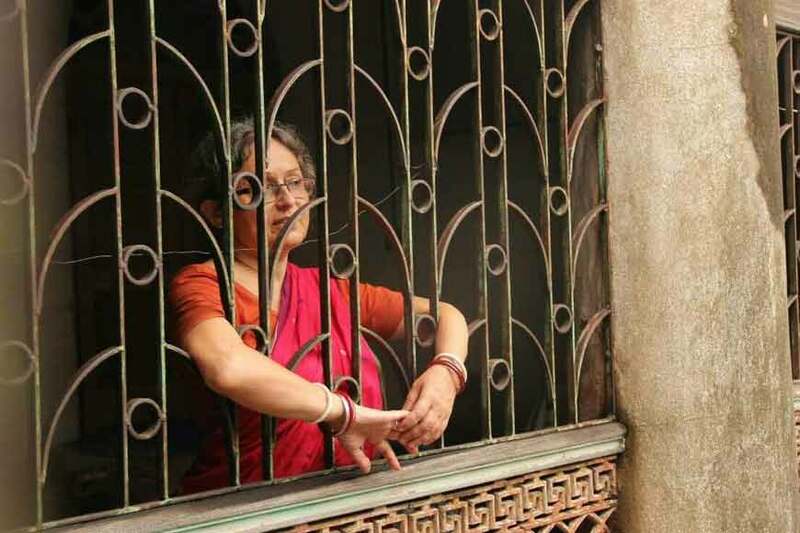 Someone who looked like the head of the family looked through the window on the first floor of the hut – asked me to come up. 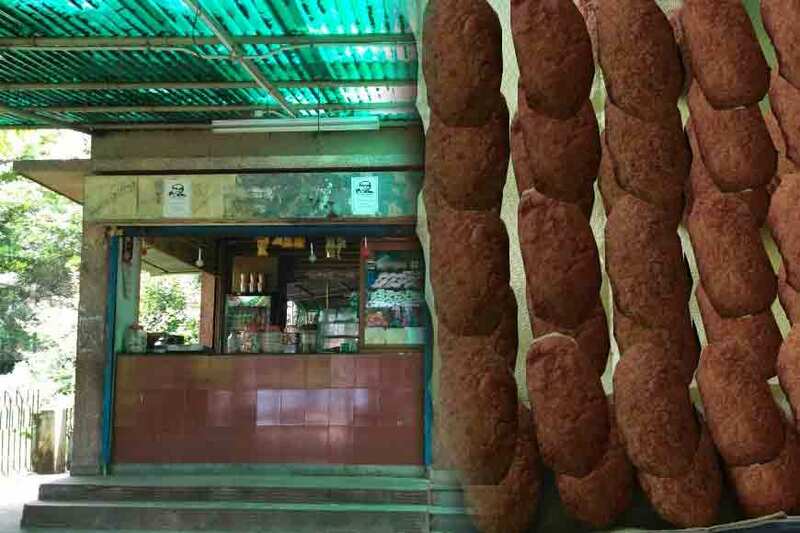 I walked up into a small room with a narrow wooden floor – one corner was a working kitchen – and another side a sitting space with jute mats on the floor. I sat down and she greeted me as if we were long lost friends. We hit it off from scratch. She was Manimala. 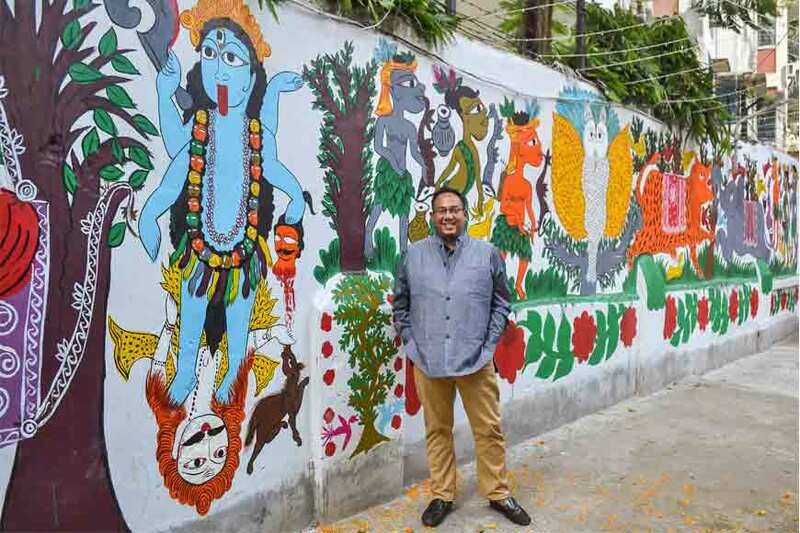 • How did you convince Manimala to come to Kolkata to do the mural? • How is this Pata Chitra mural on your huge wall different? You have to understand the medium. These artists are used to drawing on paper which are around 8-10 feet long. The work is detailed. This Pata Chitra is on a mammoth wall. It’s a game changer. The strokes are bolder, the style has to remain the same, and execution is far more challenging. This is a canvas as large as 100 feet long and 15 feet high maybe. • What story did she do on your wall? 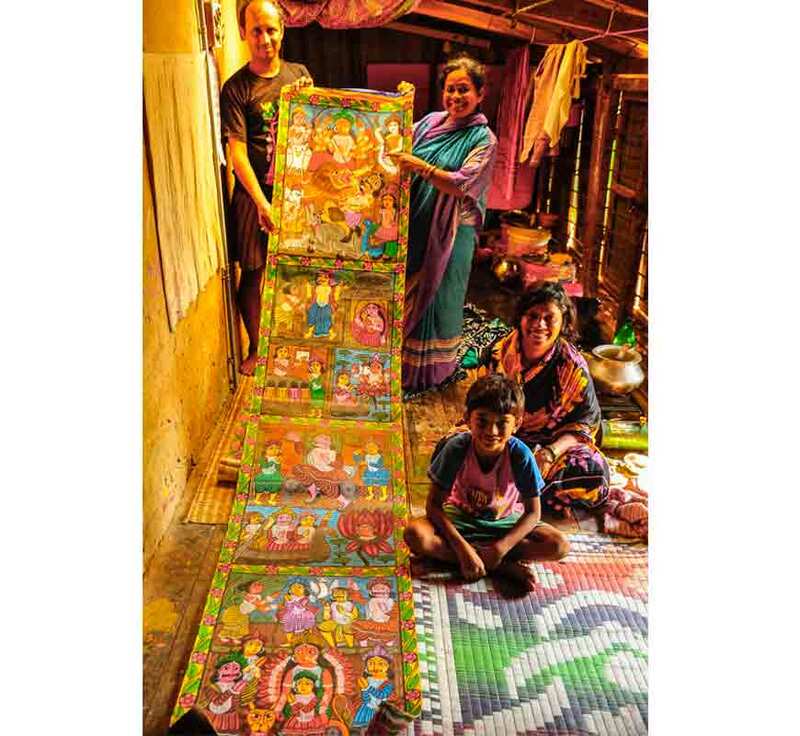 Manimala drew the story of Ma Manasa – the snake goddess on my wall, apart from depicting the Krishna Leela, stories of Kali and depiction of a forest scene with animals and tribals rejoicing. The art work has truly mesmerised everyone who has seen it. • What was your experience when you visited Naya village? Naya is a stunning village of artists who paint and sing about their work. 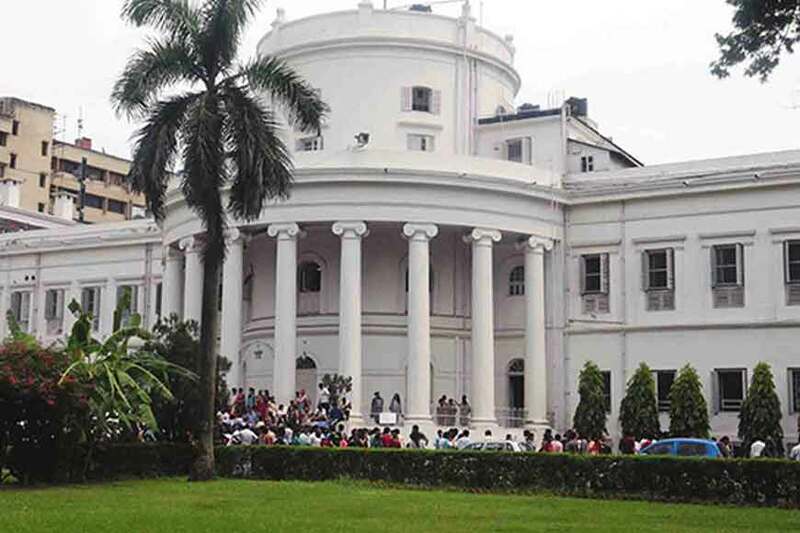 It is about three hours from Kolkata – home to about 250 such artists. The walk through it is scintillating. You will see people painting all the time – from women to children to old men. 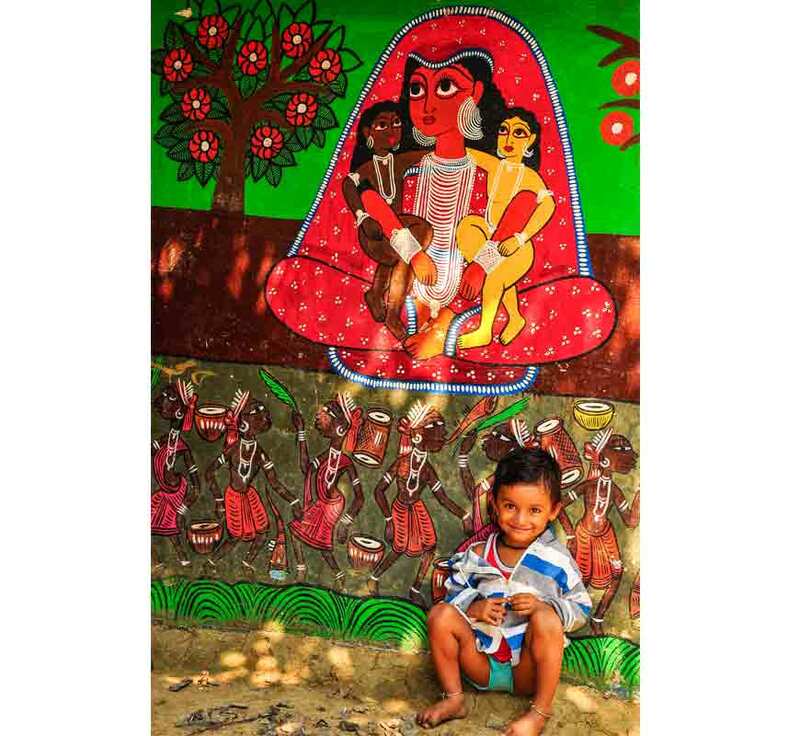 Sitting outside their homes, they paint for hours under trees or on their mud courtyards while children – some as young as two years old, truing their hand with the paint brush on white barren walls of homes. All the houses in the village have large colourful motifs on it – similar style but very different story telling. It is believed that the art form dates back to 13th-century. It’s a treat when they reveal the hand painted scrolls little by little – songs telling audiences of what it depicts. They paint on commercial paper which are stitched together and create colours from locally grown flowers, plants and vegetables. Even sea shells burnt on high fire all night is used to create the white paint. The sap of the wood apple tree is mixed with the colour to ensure its virility and strength.